Why not be the game changer this time ? Many people procrastinate over the redesign or renovation of their interior. It can be through lack of time, struggling to find inspiration or simply not having the money to hire an interior architect to give the solution. Sometimes, it’s the combination of all three. Offering The interior Architect’s Gift card, it’s allowing the people you love to get the help they need with their interior. All of us, we sometimes need this little nudge from people we love. The one gesture which will take the thorn out of our side and help us take the step forward. For Christmas, housewarming party, birthday or any other day, on your own or by joining several people together, you can help. ✚ a written checklist of all the ideas they need to transform their interior. By Skype, during up to 1,5 hour, we will talk and I will bring solutions and ideas for their interior. To make sure they don't miss anything later when changing their place, they will get a written report of our talk by email. ✚ Open dialogue to express all their questions and doubts. ↳ position of furniture, lighting, ideas for on-measure furniture. ↳ Choice of colors, style and dimensions of furniture and lights, decoration tips. ↳ Solving lack of storage, layout of small spaces, organisation tips. All spaces of the home can be discussed, kitchen as well as bathroom, bedroom or even a studio apartment. ✚ They get a beautiful and shiny paper card with their name on it. ✚ The card is valid for 1 year so they can start their project whenever they want during this time. ✚ As a gift card holder, they will have access to a specific webpage, the starting point of the process. ✚ There, they will find a quick form they can fill in at any time they want, telling me all about the help they need. Some pictures of their space will be needed to help me understand how it’s planned. ✚ In return of email, I will ask them to choose which day and time is best for them to have our video-call. ✚ The consultation will last for approx. 1,5 hour, during which we will go through their questions and doubts and I will give them ideas and advices. ✚ After the consultation, they will receive by email a checklist of the ideas we’ve discussed so they can implement them in their home. ✚ After validation, you’ll get a confirmation email and, a bit later an email from me with the invoice showing all informations for the payment. Be sure to check your spam folder if you don’t see any email coming. 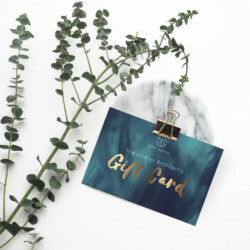 ✚ I get the gift card ready, and send it to you via regular post. You should expect it within 2 to 6 days. ✚ The Gift Card will be active as soon as the payment is complete. Ready to see twinkling eyes ? Be sure that the one you want to spoil with such a beautiful gift will be taken care of. I will be the only person to handle their project from the first email to the skype meeting and the editing of the report. But who am I exactly ? 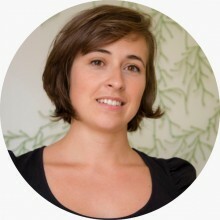 My name is Emilie Lagrange, I’m interior architect and my goal is to help people make the most of their interior. I’m always eager to make every home the best place to be for each and everyone of my clients by giving them personalized and original ideas. My speciality is to transform the structure of dwellings and Compact living is my little sweet sin. I’m deeply convinced that the good optimisation and the beauty of an interior have a positive impact on our everyday life. For me, the quote by Saint-Exupery « It’s truly useful since it’s beautiful » says everything. To pursue my goal, in 2015, I moved from Paris to Stockholm, home of the scandinavian design and the art of wellness at home. If you feel like it, you’re welcome to read more about me and my story on my About page or in this blogpost. ✚ How many rooms does it covered ? There is no limitation on this point. The discussion can be about one or several rooms. The only limiting factor is the timing. The gift card offers up to 1,5 hour. ✚ Is there a limitation for the size of the space ? What is too small, what is too big ? ✚ What kind of rooms are covered ? ✚ Will they get plans and 3D ? No, the Gift Card does not include this kind of visuals. After the consultation, they will get a written summary of the advices and ideas we talk about. It will be like a checklist guiding them when they will do the changes. If some rough sketches are done during the meeting to explain a point, they will be included in the report. ✚ I know they would like to demolish, open walls, etc… Does the Online Consultation included in the Gift Card handle this kind of questions ? ✚ How long is the card valid ? The Gift Card is valid for one (1) year starting the day it’s created. The expiration date will be written on the back of the card. ✚ Is it possible to get a refund ? If you change your mind, you can exercise your right of withdrawal within 14 days, starting the day on which you place your order. You can send me an email at contact@emilielagrange.com to do so. If the payment was already done, you’ll get a full refund within 14 days. After the 14 days deadline, the interior architect’s gift card is not refundable. ✚ Is it possible to pass the card to another person than the one it was intended to ? I put no restriction to it as the card is not refundable and it would be a shame nobody can enjoy it. The only thing is, the card will be personalised with the name of the initial recipient so it’s recommended to give it to someone you know and who will be aware of the detail and accept it. Please note the card should not be subject to any kind of profit by selling it away. In any case, if you (or the recipient of the card) realise you won’t use it and plan to give it to someone else, please inform me by sending an email to contact@emilielagrange.com. If you have any other questions, related to the way I generally work or the possibility of online interior architecture, you can have a look in the FAQ section here. Want to be a life changer ? Any hesitations, doubts, or questions before purchasing ? Send me an email at contact@emilielagrange.com and tell me what’s bothering you. I’ll do my best to help.